For the first time in decades, this wonderful home is ready for a new family to move in and begin a new chapter. Graciously set back from beautiful, tree- lined Eastover Court, the front entrance is flanked by arched, French doors adding to the ambiance of the large front porch. The light-filled living room has hardwood floors, built in bookcases and a gas fireplace. The dining room and a half bath are off the spacious entry hall and the kitchen opens to a family room with an entrance to the back yard. 4 light-filled bedrooms and full bath are on the second floor. There are stairs to the 3rd floor which is partially finished. The private, fenced back yard is beautifully landscaped with an in-ground pool surrounded by brick and perennial gardens. A 2+car, detached garage has alley access and ample room for cars, pool and lawn equipment. Conveniently located between Frankfort Ave and Lexington Rd, shopping, restaurants and schools are just minutes away! 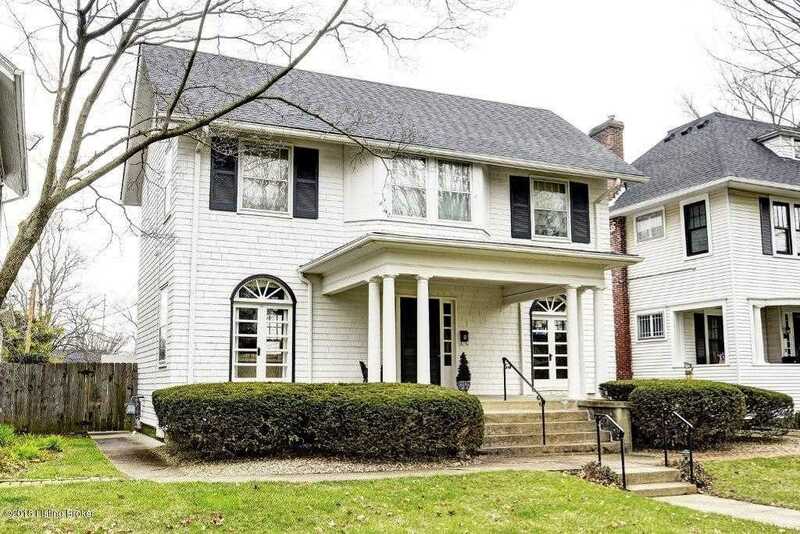 Lovingly maintained throughout, this charming home is a jewel of the neighborhood. A Home warranty is offered by the seller. SchoolsClick map icons below to view information for schools near 17 Eastover Ct Louisville, KY 40206.